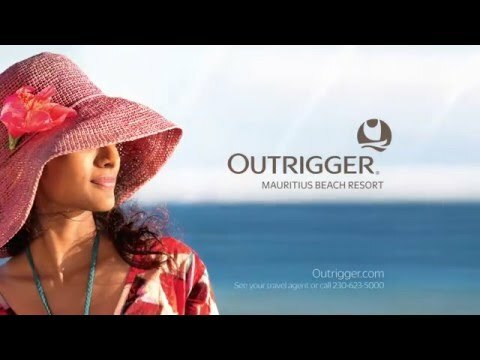 On a traditional 17th-century Mauritian sugar cane plantation, Outrigger Mauritius Beach Resort boasts exquisite Ocean views from every guest room. Life here is pretty laid-back — from no dress code to sublime sunsets. Look deeper and you&apos;ll find cultural and historic gems on your white sand-dusted doorstep, including the remains of an old sugar mill. The large stretch of beach which borders the resort has cabanas aplenty and snorkelling, windsurfing, stand-up paddles, sailing and kayaking for those more active moments. Back on dry land you&apos;ll find some sublime areas to kick back and relax. During the day, The Plantation Club is a lounge with a private pool and outdoor area, exclusively for guests staying in Suites or Villa categories: enjoy a refined à la carte breakfast with sparkling wine, all-day non-alcoholic beverages and a daily cocktail hour. This outlet adds a touch of French colonial class to an already delectable array of bar and dining options. The Club is open to all guests for dinner (upon reservation) and is the island&apos;s first fine dining restaurant offering Modern Creole Gastronomy. Mercado Restaurant is another &apos;must experience&apos; with interactive cooking displays, whilst Edgewater, next to the beachfront pool, offers light lunches and ice cream by day and local dishes, contemporary Eurasian-inspired cuisine, and wine pairings in the evening. On the south coast of Mauritius in Bel Ombre, nestled in a nature reserve beside a coral reef. Here, the largest and longest beach in the region and a pristine lagoon host some of the most diverse marine life in Mauritius. Transfer time from Mauritius International Airport: 45 minutes. 181 guest rooms and ocean-facing suites on 3 floors. All with air-conditioning, LCD TV, mini-bar*, complimentary WiFi, tea/coffee-making facilities, alarm/clock radio, iron and board, hairdryer and safe. Ocean View Rooms with large bathroom and walk-in wardrobe, 1 king-size bed or 2 twin beds, sleeping maximum 3 adults or 2 adults and 1 child. All Inclusive of: full American breakfast buffet at Mercado restaurant or, for stays from 1 Nov ’18, a semi à la carte breakfast at Edgewater Beach Restaurant (reservations required). Lunch at either Edgewater (à la carte), Bar Bleu (à la carte) or Mercado (buffet starter and main course from live cooking stations). Dinner in either Mercado (buffet and live cooking stations), Edgewater, The Plantation Club with a meal credit, or Bar Bleu (for stays until 1 Nov ’18). Afternoon tea, coffee and pancakes. A selection of drinks served from 11:00am–11:00pm including a choice of wines, sparkling wines, cocktails, local beers, spirits, juices, tea, coffee, soft drinks and water. Mini-bar (local beer, soft drinks and snacks, replenished once daily). Activities include paddle boats, kayaks, windsurfing, mini-sailing boats, snorkelling, glass-bottom boat trips, table tennis, beach volleyball, tennis and bocce-ball. Please note: All Inclusive can be enjoyed from check-in (2:00pm) on day of arrival and ends at 6:00pm on day of departure. Supplements may apply on premium menu items. Willy’s Crab Shack is not included in any dining plans. Suite and Villa guests may enjoy breakfast with sparkling wine at the Plantation Club. Ocean View Family Rooms with 1 king-size bed and a connecting kids&apos; bedroom with bunk beds and TV, sleeping maximum 2 adults and 3 children/teens. Beachfront Rooms are close to the beach, on the first or second floors, and have 1 king-size bed or 2 twin beds, sleeping maximum 3 adults or 2 adults and 1 child/teen. Beachfront Ground Floor Rooms (available from 1 Nov ’18) have 1 king-size bed or 2 twin beds, sleeping maximum 3 adults or 2 adults and 1 child/teen. Beachfront Family Rooms, on the ground floor, have 1 king-size bed and a connecting kids&apos; bedroom with bunk beds and TV, sleeping maximum 2 adults and 3 children/teens. Beachfront Junior Suites, on the first or second floors, offer exceptional views of the lagoons and ocean and access to The Plantation Club facilities. They have 1 king-size bed, sleeping maximum 2 adults. Beachfront Ground Floor Junior Suites offer access to The Plantation Club facilities. They have 1 king-size bed, sleeping maximum 2 adults. Beachfront Family Junior Suite (available from 1 Nov ’18) is on the ground floor and offer a spacious main suite with 1 king-size bed, a separate kids’ bedroom with bunk beds, TV and own bathroom, and access to The Plantation Club facilities. It sleeps maximum 2 adults and 3 children/teens. Beachfront Senior Suite is on the ground floor, with unobstructed views of the ocean. It has a separate living area, plus access to The Plantation Club facilities, and 1 king-size bed, sleeping maximum 2 adults. Beachfront Family Senior Suites (available from 1 Nov ’18) are on the ground floor with unobstructed views of the ocean. They have a master bedroom with 1 king-size bed, a dining room and a separate kids’ bedroom with bunk beds, TV and own bathroom, plus access to The Plantation Club facilities. They sleep maximum 2 adults and 3 children/teens. The Villa (available from 1 Nov ’18) sits on the ground floor close to the beach. It has 2 spacious master suites, each with a separate kids’ bedroom with bathroom, a separate dining room and access to The Plantation Club facilities.The Villa has 2 king-size beds, plus kids’ bunk beds, sleeping maximum 4 adults and 6 children/teens. 2-Bedroom Beachfront Villa (available until 31 Oct ’18) enjoys access to The Plantation Club facilities, with 1 king-size en-suite bedroom, 1 children&apos;s en-suite bedroom with bunk beds and a living room, sleeping maximum 2 adults and 3 children. 4-Bedroom Beachfront Villa (available until 31 Oct ’18) consists of two adjoining 2-Bedroom Beachfront Villas, sleeping maximum 4 adults and 6 children. Guests staying in Suites and Villas have exclusive access to The Plantation Club (10:00am–6:00pm), with a private pool, outdoor bar with daily cocktail hour, breakfast service with sparkling wine, and lounge area serving non-alcoholic drinks, snacks and afternoon tea, in a private tropical garden. In the evening, The Plantation Club transforms into a fine dining restaurant (Club guests are given priority). For stays until 31 Oct ’18, Senior Suite and Villa guests also receive one free 1-hour massage per adult per stay at Navasana Spa, a bottle of Champagne per couple upon arrival, with special amenities, and special turndown for adults and children. Edgewater (local and European restaurant with a modern twist, open for light breakfast, lunch and dinner), Mercado Market Dining (International food market dining with live cooking stations, open for breakfast, light buffet lunches and dinner, with dining area just for children, hosted nightly by the kids club), Willie&apos;s Rum & Crab Shack (open for à la carte lunch and dinner with seafood delights). The Plantation Club exclusive pool area with Modern Creole fine dining restaurant (open for dinner). Rouben&apos;s Wine Room (adjoining Mercado, with over 700 world-class wines, available for private dinners and cheese and wine tastings). Bar Bleu (cocktails, snacks and comfort food). 4 swimming pools, including main beachfront pool with swim-up bar, kids pool with water slide, and small quiet zone pool. Navasana Spa* with 13 treatment rooms. Fitness centre. Complimentary activities including tennis, volleyball, table tennis, bocci ball, snorkelling (2 trips available per day), kayaking, windsurfing, glass-bottom boat, paddle boat and mini-sail. Mountain biking*, 18-hole golf course*, scuba-diving*, and kite surfing* available nearby. Kids club* (3-12 years) with pool and waterslide. Babysitting*. Room service*. Laundry/dry-cleaning service*. Concierge service. 5 nights 22 Dec–5 Jan. Please note: The dress code for dinner is casual (no swimwear). Pure perfection and a dream honeymoon! Amazing ! Went well beyond my expectations !